It’s official! The Nokia N9 is coming to the Philippines – bringing with it its unique Meego OS and a new buttonless form factor. The new smartphone is the newest member of the N-series line from Finland’s engineers and is going to be a bit different from the usual – even compared to its peers on the N-line. This phone won’t be running any version of Symbian – it will have the new Meego OS designed and developed specifically for high-end smartphone use. The Nokia N900 before it ran it’s predecessor called Maemo 5. They’re both Linux-based and should be promisingly powerful, so we’re interested to see how the N9 fares. 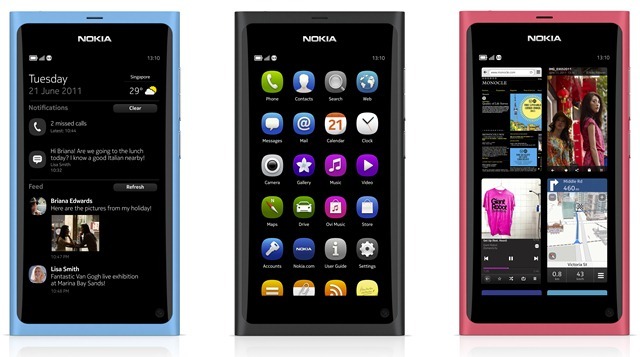 The Nokia N9 is a portrait touchscreen phone powered by the new Meego OS. It has a 1Ghz processor, 3.9” 854×480 screen, 8MP Autofocus camera with dual LED flash, 720p video recording at 30FPS, front facing camera, and the usual connectivity options including WiFi N, Bluetooth, GPS, etc. It also has the new Near Field Communications technology which is bound to be used for a lot of data and money transfers later on when it becomes widely available. Finally, even under the new OS, Nokia will be offering its popular Nokia Maps (formerly known as Ovi Maps) free lifetime Routing and Navigation for all N9 users. The new Meego interface is based on three main screens – the Main Menu, the Multitasking Screen, and the Notifications/Events screen. Getting to any of these screen only requires you to swipe from outside the screen in a sideways direction – avoiding the need for buttons or other means of control. Swiping vertically on an app also sends it to the Multitask area for you to open or perform other tasks while it runs in the background. A unique interface like this is bound to gain some fans, though the opposite might also occur in some. We’re not sure which way to side on this new Nokia device, but we did love it’s predecessor the N900 in our review here, so we have high hopes for the Nokia N9. If anything, the device looks great, the software looks solid and the new feature set and Qt framework should improve the app marketplace quite a bit. We definitely look forward to getting a hold of one of these phones when they get released later this year. The phone will be available in three colors black, cyan, and magenta. To see how those colors look, check out the video below. 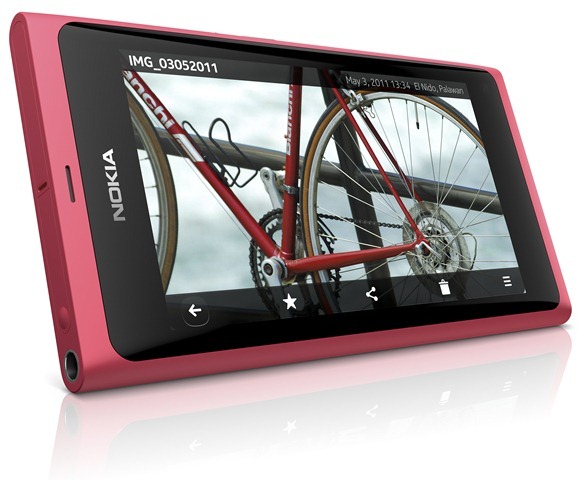 Or you can read/watch more about the product here in Nokia’s dedicated N9 website.